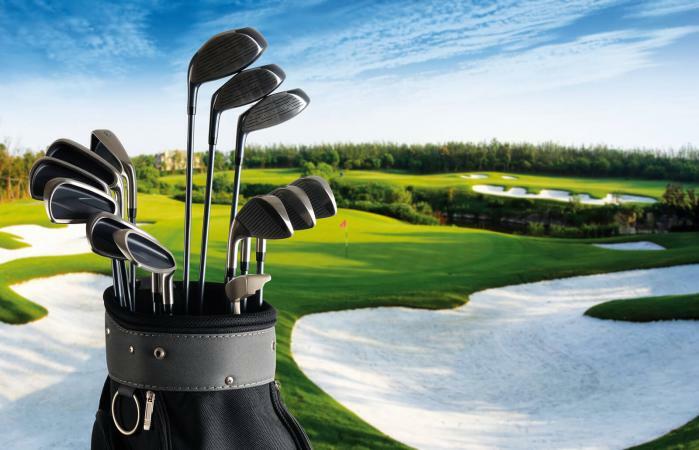 When booking a golf vacation, it's good to know where you can find the best golf courses in the United States. Not only will it give you beautiful courses to play on but many also provide you anemities catered to the golf enthusiast. Take a minute to review these best picks for golf courses so you'll have a vacation to boast about to all of your golf buddies. August National Golf Course is the site of the prestigious Masters tournament. It's rated the number one golf course in the U.S. by the Top 100 Golf Courses website. Links Magazine praises the course design which, "would continuously beguile the game's most skilled practitioners ... yet left it soft enough that a talented club member could negotiate most of its holes using only a putter from start to finish." The course is known for being particularly lovely with creeks, beautiful green lawns and landscaping including flowering azaleas and dogwood trees. It gets a four-and-a-half star rating on Yelp from golf lovers. Designed by Tom Fazio, an award-winning golf course architect, this course is located in Pine Hill, New Jersey, just outside of Philadelphia, PA. Golf Digest ranked it number one in 2017 of its list of the top 100 courses in the U.S. It is one of the most exclusive clubs in the U.S. but members of the public get to play one day a year in the fall. Some reasons for why golfers love it are its private feel, stunning terrain, and mix of long and short holes creating a truly challenging but fair course. This is another exclusive membership-only club, although there are some ways to get in to play. The course was created by respected course designer Alistair MacKenzie. The course combines the beauty of the Monterey Peninsula forest with striking ocean views. Reviewers on Trip Advisor give the course a five-star rating. Well-known golf writer, coach, and player Bob Fagan calls Cypress Point, "one of my all-time favorites." Who hasn't heard of Pebble Beach? This scenic California course is widely recognized as a go-to spot for awesome golf! Golf Digest calls it the number one public golf course in America annually since 2003. The course landscaping is one you won't soon forget, featuring stunning views of the Pacific ocean. The course is also the home of six U.S. Opens including the 2019 centennial anniversary event and the annual PGA winter competition. One of the oldest, if not the oldest, courses in the U.S., Shinnecock Hills is located in Southampton, NY. Financial Advisor magazine rated it the number four course in the U.S. It is the only golf course to have hosted the U.S. Open at least once in each the last three centuries. The course is known for having a Scottish influence in its design and famous player Tiger Woods remarked that, "This is very much like a British Open. You can actually putt from 30, 40 yards off the green if you so choose." The Golf Now website user reviews give the course high ratings.